Have you seen this app? It is Felt Board and it is just like it sounds. It has 27 different backgrounds to choose from, tons of people, animals, clothes, and props. It has all of the pieces for common felt board activities including 5 monkeys jumping on the bed, Humpty Dumpty, I Know and Old Lady Who Swallowed a Fly and more. 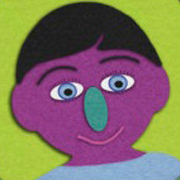 At $2.99, you will be WAY ahead when you consider all of the time and money put into making a felt board activity. 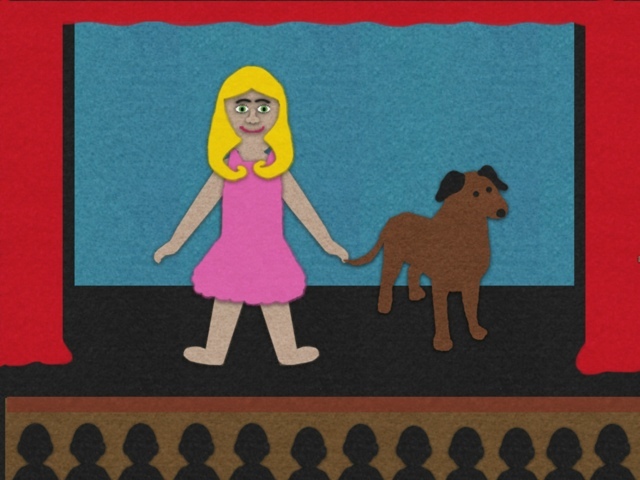 In college, we had to make all of the pieces for a felt board story. I did Mama, Do You Love Me? It took FOREVER. I remember staying up late putting sequence onto this fish only to have it look a little sub par. With this app, I hope that assignment is obsolete. 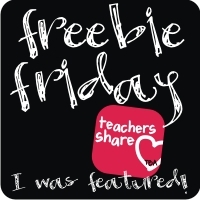 Could you see yourself using this app with in your classroom or with your own students? My three year old daughter loved it! 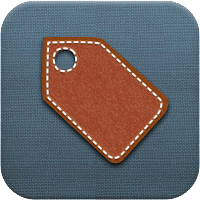 What other free or paid apps do you have and consider a must buy? lynda.com helps anyone learn software, creative, and business skills to achieve personal and professional goals. 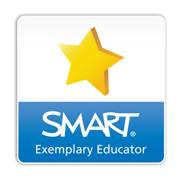 Members receive unlimited access to a vast library of high quality, current, and engaging video tutorials taught by great teachers who are also working professionals. 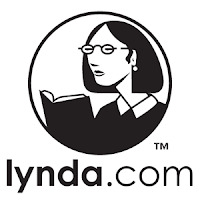 Is anyone a member of lynda.com? It is a site with TONS of tutorial videos, tons, like thousands. It is a membership site for $25 a month. My Sister in Law told me about it months ago, but for Christmas I got a new camera and on the site it has an entire course for learning to use my specific camera. While I was stalking the free videos I discovered how many things that I had no idea existed but also how eager I am to learn. There is EVERYTHING. Photoshop, Illustrator, creating Facebook apps, photography, blogging, Blackboard, you name it and it is on there. Honest. Now, due to Google's ad targeting I'm honestly seeing lynda.com ads at least 4 times a day. I really want to subscribe but worry that I won't be able to stop at a month or won't get my moneys worth for the given month. I know there are some awesome tutorials on YouTube and other places (I know I made some of them!) but with those I feel like I waste so much time trying to find a good presenter that can quickly, accurately, and effectively deliver the information. The other side to this coin is that my internet at home is REALLY SLOW. In fact I cannot even make it through any of the free videos on lynda.com without it pausing. So all of my video viewing would be at before or after school. By now, most of us are familiar with QR codes. We see them all over the place, although, I feel as though it is slowly starting to fade- or maybe I just don't notice them as much as I used to! 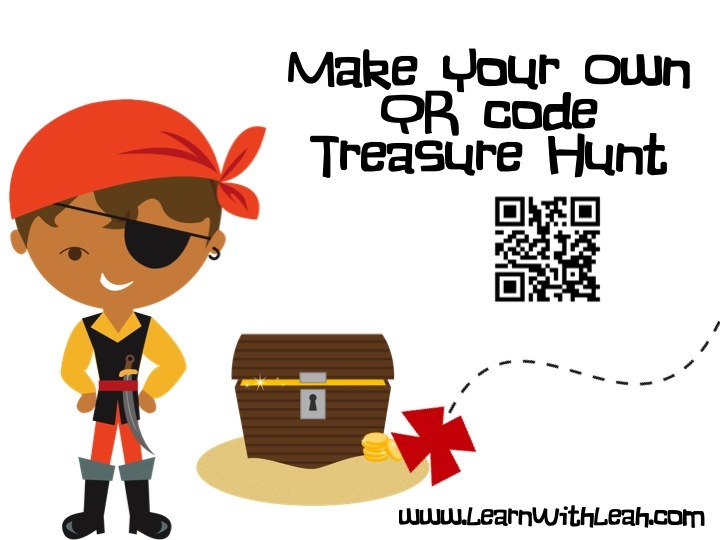 One of the things that I have really wanted to try was to do a QR code treasure hunt. 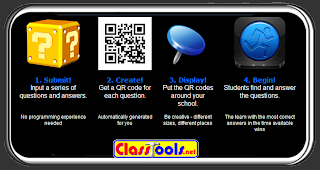 With QR Code Treasure Hunt Generator it is easier than ever! The process is very simple. 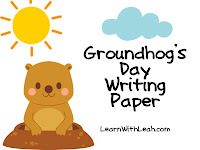 You input a series of questions and answers- it allows you to cut and copy from a word processor. 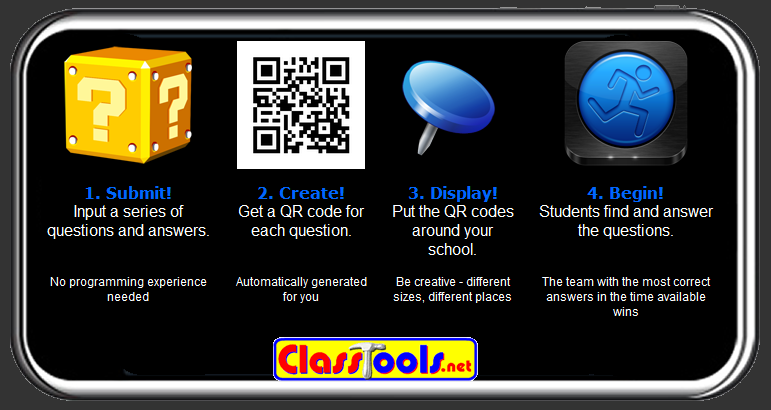 Then it will generate a series of QR codes, you will take these and display them throughout your school. And then you send students on the challenge. This is a great way to get students up and moving. It would be an awesome first day of school activity. :-D Let me know if you have any great ways to use a QR treasure hunt with your students! Have a great day! I love a good QR code activity. Kids enjoy scanning them, I enjoy making them. All around a good time! 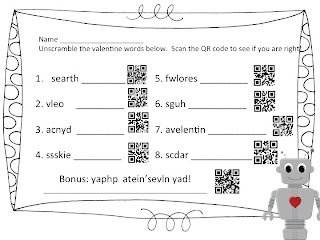 This activity features several Valentine's Day words that are all scrambled up, this would be a great center activity where students work on the activity and when the time is up they can scan and see how well they did. 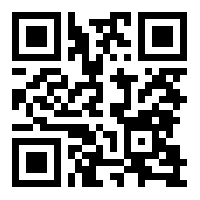 :-D This is my first QR activity to make publicly available so I would LOVE some feedback. While you are here, did you get these past freebies? Check them out! 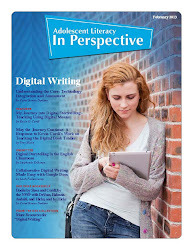 There is nothing that I love more than when teachers and students break boundaries to learn new material. LOVE IT! Westerville High School is a prime example. 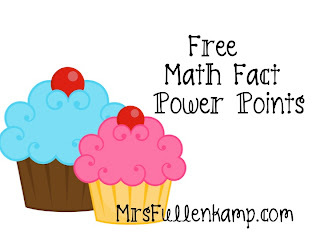 They have a YouTube channel with 6 different videos taking math concepts and putting them to popular lyrics. 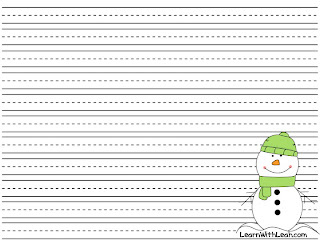 My favorite is "Teach Me How To Factor" to the tune of "Teach Me How to Dougie". Not even going to lie, I love it! LOVE, LOVE, LOVE! I bet every single one of these students know the revised lyrics and have will always remember how to factor! If you enjoyed this video be sure to check out their YouTube Channel. All six videos are awesome. I cannot wait to see what they come up with next! Another favorite channel by teachers is HistoryTeachers, here they take historical events to popular songs. My favorite of theirs is the Black Death Do you know of any others? I would LOVE to hear these- one of my favorite things ever! 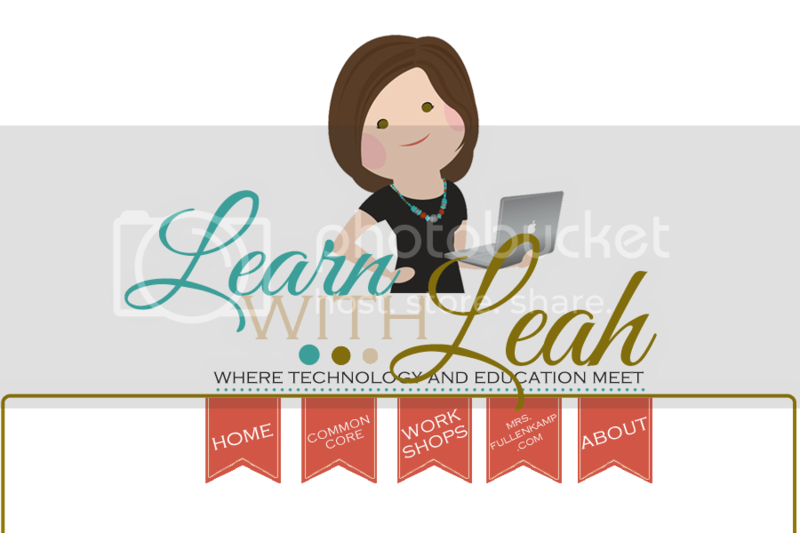 While I was blog hopping today, I stopped at Tech with Jen (awesome site by the way! ), she has a section for fonts. At the very bottom she featured Really Quite Lucky a site that reminds me a little bit of the pea fonts from Kevin and Amanda. Anyhow these are free fonts, but what I really liked about it is that it had student writing samples. :-D I love that you have someone at the age of six writing their own font instead of an adult "faking" it. Love! Check it out! 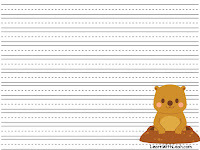 :-D If you would like to use any of these fonts just remember to include a link back. What other fun font sites do you love? 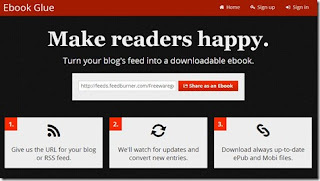 Photon is an app that allows you to see and interact with any flash based websites on the iPad. This $3.99 app was designed for gamers but works amazingly well in any context. Inside the app on the upper right hand side, you click the lightning bolt to enable any flash based content. Love this app! 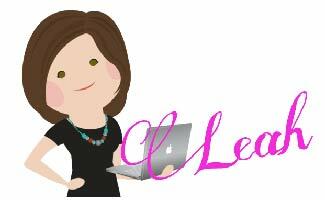 It allows me to work with all of my favorite sites without leaving the iPad. Hope you find this useful! But what I just found out is that they have an app. This app is awesome for teaching fractions, decimals, and percents. The screen shot below is the directions for using. 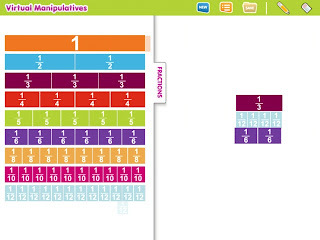 Basically on half of the screen you can choose from fractions, decimals or percents and drag them to the second half of the screen. 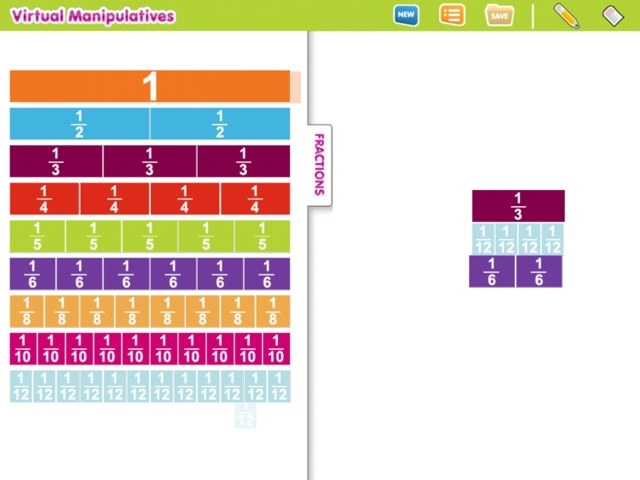 This allows you to compare fractions like the picture below. But what is even more exciting is that when you click on the fraction pieces it will show you the fraction as a decimal and a percent. It also has the feature that lets you draw. 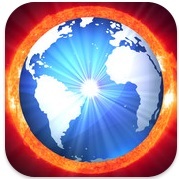 This is an awesome app! 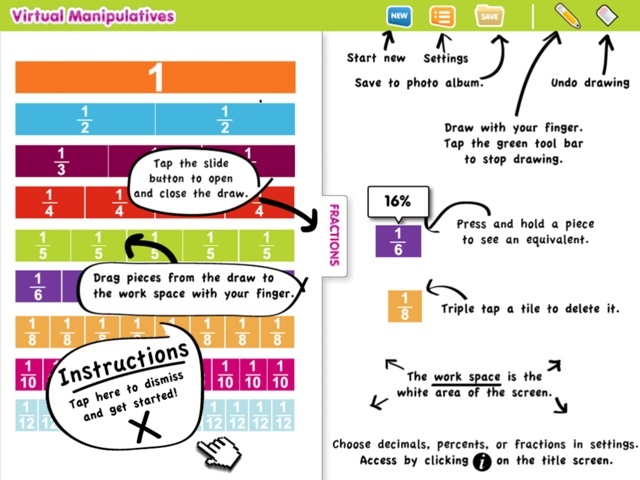 I have my fingers crossed that they add more manipulatives in the future. At the price tag of free, you can not beat it! What do you hope they add next? For me, this serves several purposes. 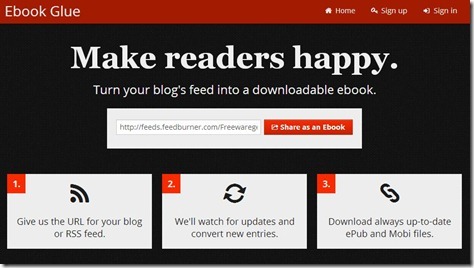 It is a way to back up your blog, you can have a somewhat physical product but what makes me really excited is that I now have a way to catch up on someone's blog who I haven't had time to read while driving. I don't have an iPad with 3G so when I'm on the go at times I'm limited. Now, if I have a long road trip I can have plenty of reading material to take along without spending a fortune on traditional ebooks. 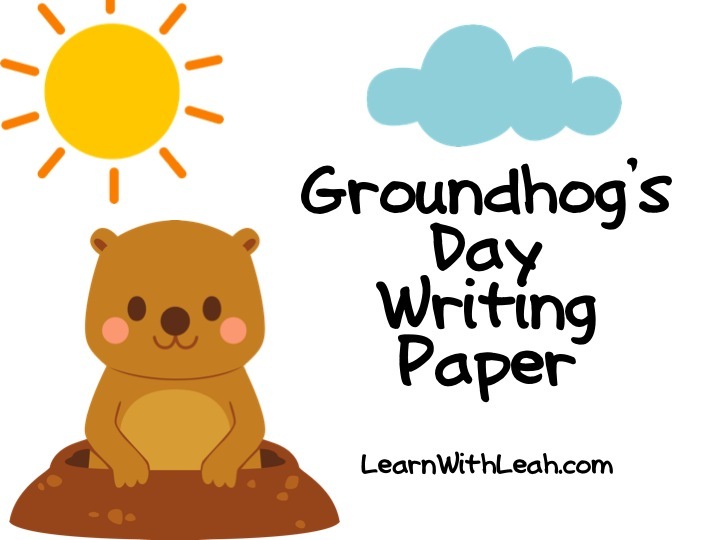 If you do a classroom blog where your students are the writers this would be a great way for them to see just how much they have written and an easy way to share with parents. I hope this makes you just as excited! 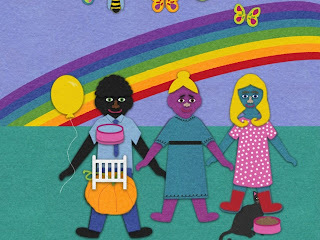 I stumbled upon this book while using Google+ and I'm IN LOVE! 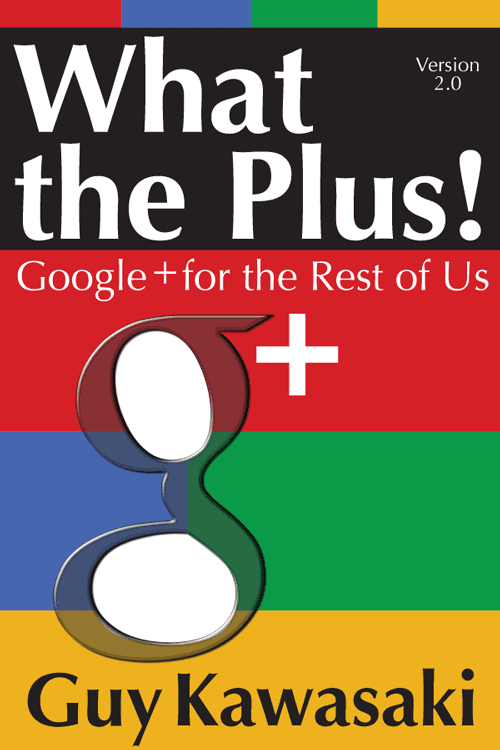 This is a user manual for Google+ and he is hilarious! I haven't made it all the way through yet but I have learned so much. Guy breaks down the differences between Facebook, Twitter, Pinterest and Google+, shares common terminology, and explains the purpose of each. 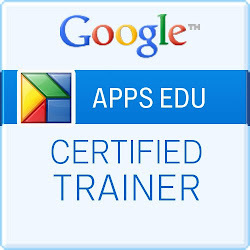 Google+ is for Passions- Not everyone on your current social media friends list love ed tech or photography like you do, but using Google+ you can 'meet' and discover people with the same passions as you. Be sure to check out Guy's book What the Plus. It can be purchased in a variety of different formats. For more information click here. This app is amazing! 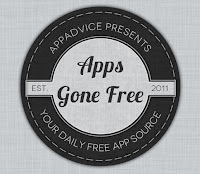 Apps Gone Free is a free app that has a daily calendar of all of the previously paid apps that have gone free. 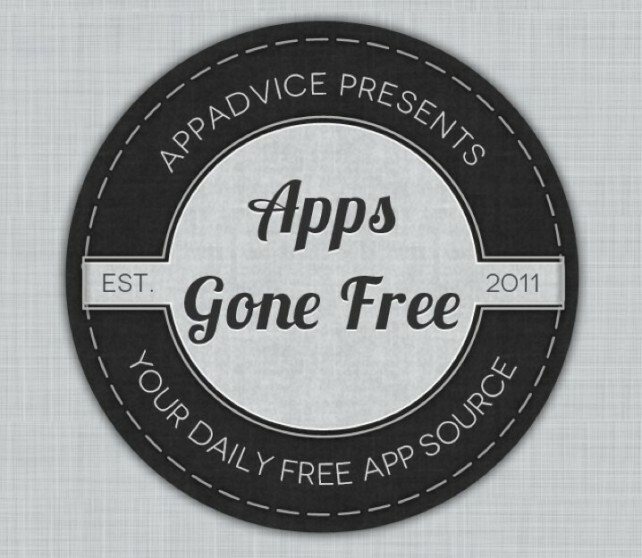 Each day when you open the app you can see around ten apps that are free for usually a 24 hour period. It is rated a five star app with a whopping 23,000 reviews- unbelievable. 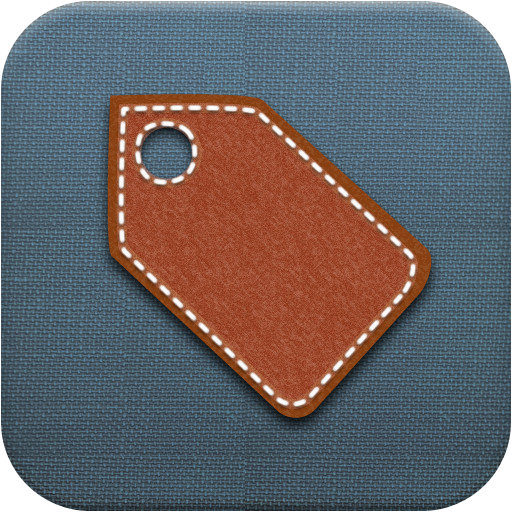 The apps featured are usually under the $5.00 mark and are often times games or other simple things. But there is usually a keeper. This is a great way to try new apps without breaking the bank, and if you decide that you don't like the app you can just delete without remorse. While this isn't something that I think I would use everyday it is something that I would defiantly use when I reluctantly sign up for a newsletter that promises not to sell my info. Very exciting! I'm so very excited! I am now a collaborator on Technology Tailgate! These are some of my Favorite Doodles from 2012. The National Winner will have his or her doodle featured on the U.S. Google.com homepage. He or she will be awarded a $30,000 college scholarship to used at the school of his or her choice, a trip to New York City for the final awards ceremony on May 22nd, 2013, a Google Chromebook computer, a Wacom digital design tablet, and a t-shirt printed with his or her doodle on it. 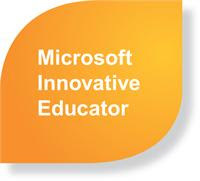 We’ll also award the winner’s full-time school a $50,000 technology grant towards the establishment or improvement of a computer lab or technology program. 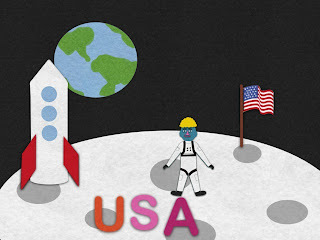 Google is now accepting submissions for their annual Doodle Contest. 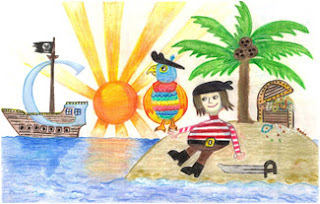 The theme for competition is "My Best Day Ever..." Check out the information for the Doodle 4 Google Contest and get your doodle on! While I LOVE, LOVE, LOVE education, I sometimes dream of what it would have been like had I went into computer programming. I know I would love it like I do education but I still am very interested. 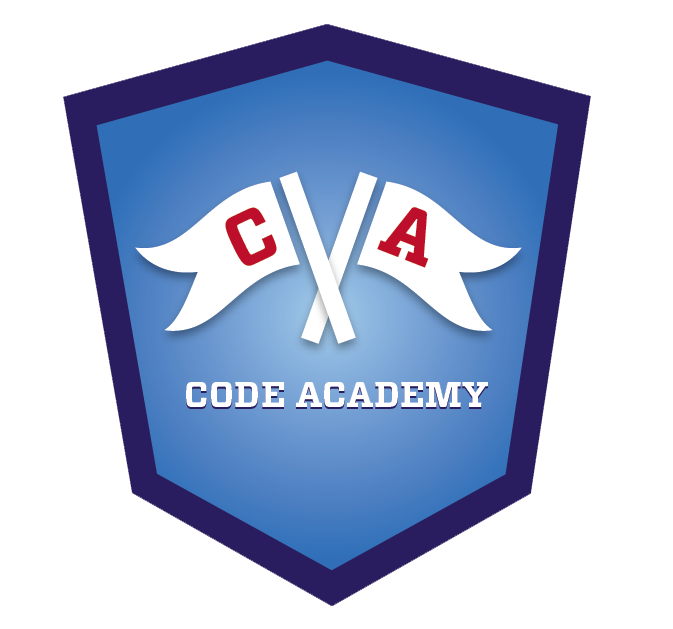 Insert Code Academy- I'm learning loads of new stuff with Code Academy. While, I never see myself becoming a successful programer I can honestly say that Code Academy would give me a strong foundation to tweak anything that I encounter. 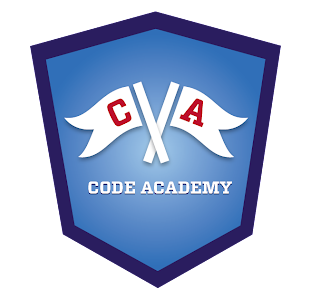 If you are wanting to learn the basics of html or one of the many other programing languages, Code Academy is the place to go!